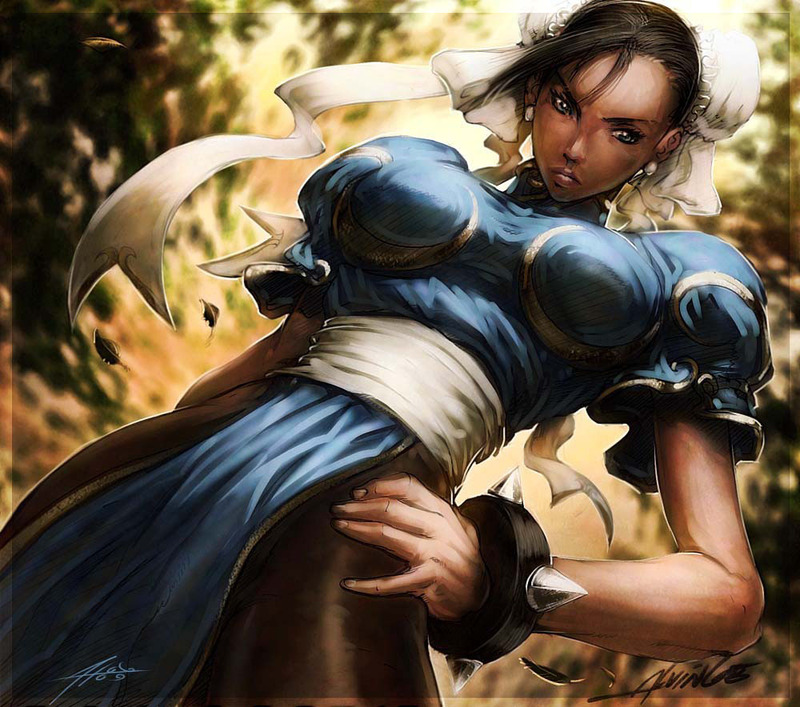 Chun Li is the strongest woman in the world! I am not sure that she is really the strongest woman in the world, but i am sure she changed game history and game culture and made an impact for female fighting game characters. I also believe she is the most drawn video game character of them all, more than Mario, more than Sonic, more than Cammy, Kitana, Mai Shiranui and even Lara Croft. One of the many artists who draw her many times is Alvin Lee, who shared his lineart of this artwork in the net a good while ago already. The German artist Andreas Holzendorf colored this lineart and created this damn good looking image of Chun Li here which took him around eight hours. Excellent work @ Alvin and Andreas too, thanks for sharing your talent with the world!